Watch Modern Family Season 9 Episode 8 online via TV Fanatic with over 7 options to watch the Modern Family S9E8 full episode. Affiliates with free and paid streaming include Amazon, iTunes, Vudu, YouTube Purchase, Google Play, Hulu Plus, and Verizon On Demand. 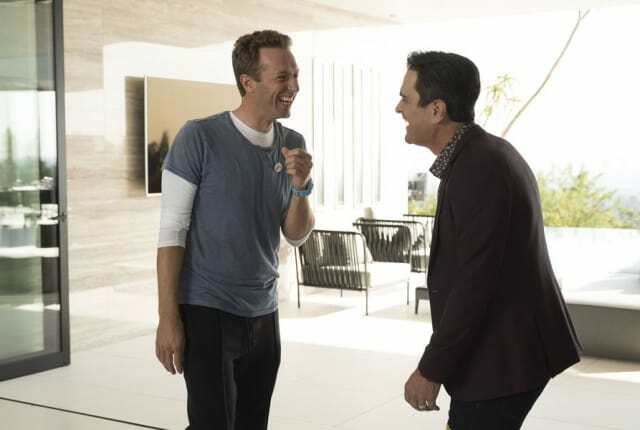 On Modern Family Season 9 Episode 8, everyone recounts their biggest celebrity encounters, while Phil shows a house to his musical hero while in intense pain.